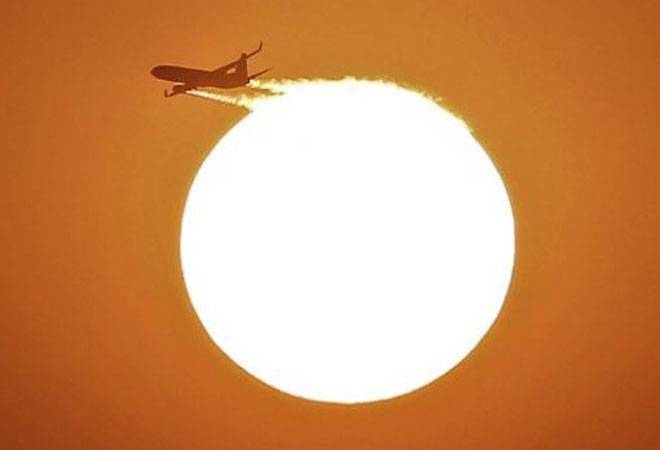 Aviation turbine fuel (ATF) or jet fuel price was hiked by a steep 6 per cent on Sunday, the third consecutive monthly hike in ATF price since August. LPG price was also hiked by Rs 1.50 per cylinder. Aviation turbine fuel (ATF) or jet fuel price was hiked by a steep 6 per cent on Sunday, the third consecutive monthly hike in ATF price since August. LPG price was also hiked by Rs 1.50 per cylinder. The government had earlier decided to hike LPG prices every month so that all subsidises are eliminated by this fiscal-end in March. The central government announced daily revision of petrol and diesel prices from July this year. However, jet fuel prices are revised every month. The government is yet to bring petroleum products under the ambit of GST (Goods and Service Tax). Aviation turbine fuel will now cost Rs 53,045 per kilolitre (kl) in Delhi, Rs 3,025 per kl more than Rs 50,020 previously, according to a price hike notification by Indian Oil Corp, the nations biggest fuel retailer. The last hike was by 4 per cent (Rs 1,910 per kl) on September 1. A subsidised 14.2-kg LPG cylinder will from today cost Rs 488.68 in Delhi as against Rs 487.18 previously, IOC said. The hike comes on back of over Rs 7 per cylinder increase effected from September 1. Oil Minister Dharmendra Pradhan had on July 31 told the Lok Sabha that the government had asked state-run oil firms to raise subsidised cooking gas (LPG) prices by up to Rs 4 per cylinder every month to eliminate all the subsidies by March next year. Rates were, however, raised by Rs 2.31 per cylinder on August 1 and the oil companies effected a large hike on September 1 to equalise that, sources said. Since the implementation of the policy of monthly increases from July last year, subsidised LPG rates have gone up by over Rs 69.50 per cylinder. A 14.2-kg LPG cylinder was priced at Rs 419.18 in June 2016. The government had previously asked IOC, Bharat Petroleum Corp Ltd (BPCL) and Hindustan Petroleum Corp Ltd (HPCL) to raise rates of subsidised domestic LPG (liquefied petroleum gas) by Rs 2 per 14.2-kg cylinder per month (excluding VAT). The price of non-subsidised LPG or market priced cooking gas has also been hiked by Rs 1.50 to Rs 599 per bottle. Rates at the last revision on September 1 were hiked by Rs 73.5 to Rs 597.50 per bottle. Todays hike in the LPG price is fifth since the May 30 order of the oil ministry to raise rates by Rs 4 per cylinder every month. There are as many as 18.11 crore customers of subsidised LPG in the country. These include over 3 crore poor women who were given free connections during the last one year under the Pradhan Mantri Ujjwala Yojna.